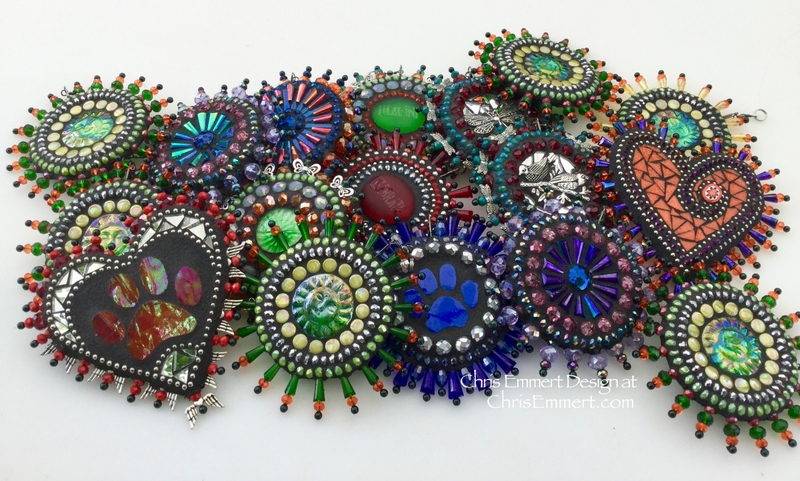 Chris Emmert Mosaic & Design | Mosaic Art Made With All Things Cool!~!!!! Thanks for the interest in my art. For all my work I use an epoxy grout. It never needs to be resealed. 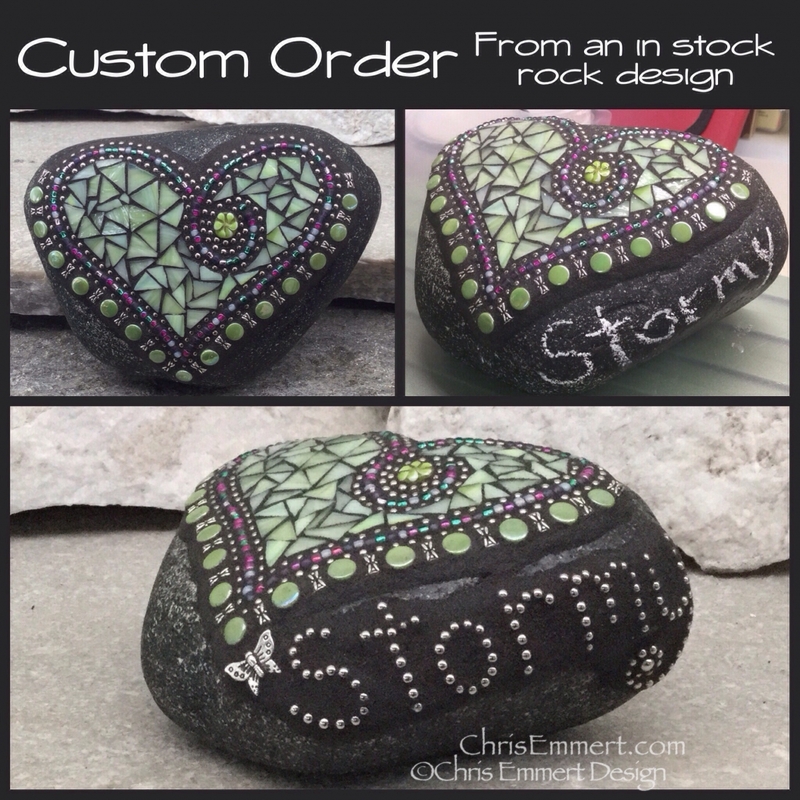 I've had pieces in all kinds of extreme weather conditions without any cracking or crumbling. Working on lots of new spinners. 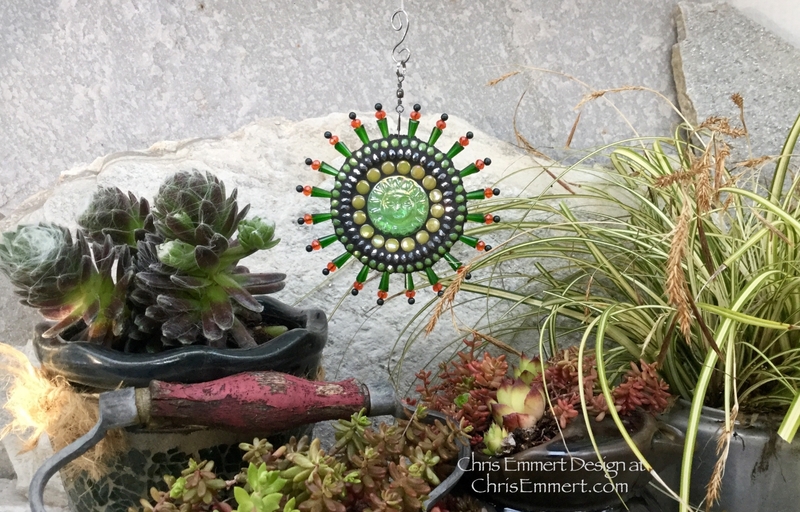 The first of the new style of garden spinners. 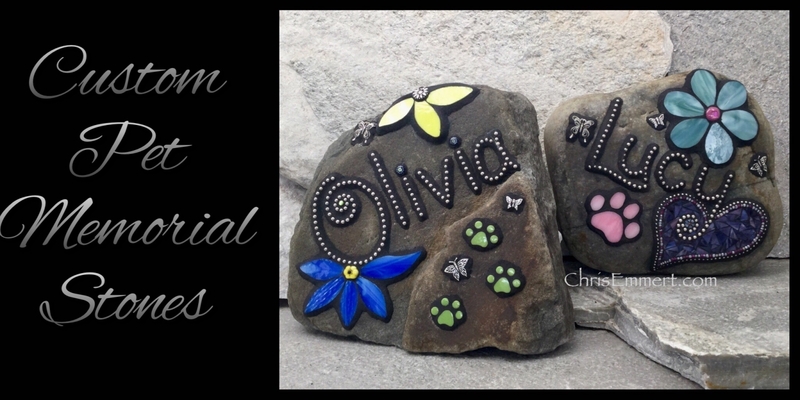 If you find a garden stone in my shop and if there is room...I can add a name. Upcharge will apply. Contact me with the link to the stone you would like a quote on.